Texas is all about making big impacts, and your marketing strategy should strive for similar results. Sometimes, those impacts come in compact packages, as custom retractable banners offer an excellent blend of visual appeal and functionality. SpeedPro Imaging Frisco/Plano will take on your project and create unique products that showcase your best qualities. We lend our skills to businesses throughout the local area, which grants us insights that other companies might struggle to match. We offer services throughout Collin and Denton counties, which includes McKinney, Frisco, Plano and surrounding areas. 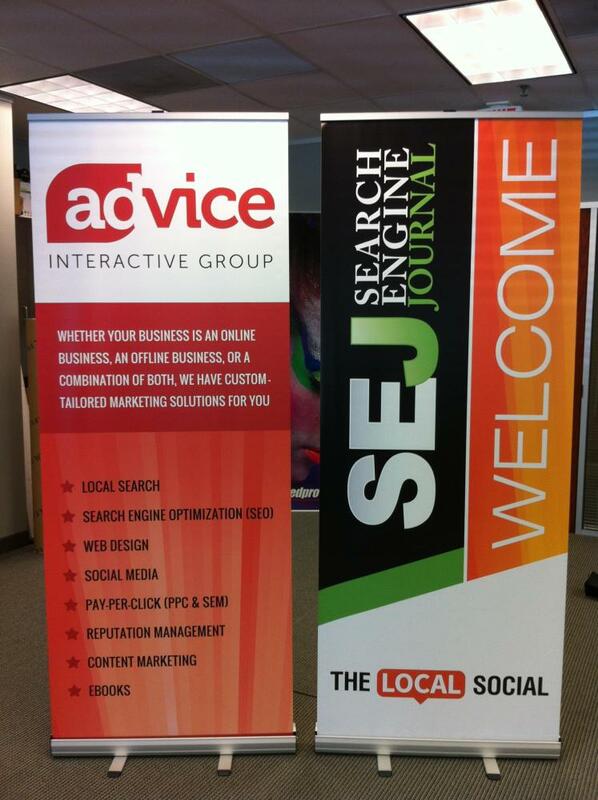 How Can We Help With Custom Retractable Banners? Versatile marketing mediums can be hard to come by, which is why retractable banners are so popular. They make for excellent accessories in a trade show display, which means that countless vendors pack them in their vehicles and hit the road. That said, they can be used in plenty of stationary venues as well for a wide range of tasks. From simple brand exposure to seasonal sale promotion, we’ll weigh your needs and do what we can to accommodate them. It all begins with a consultation, where we’ll sit down to hold in-depth discussions. Once we understand one another better, we can then move on to product recommendations. 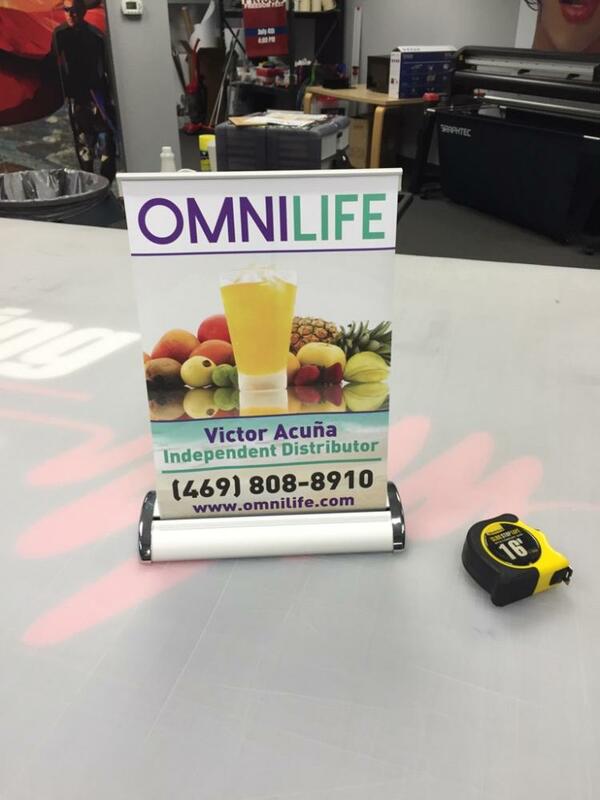 What Are the Customization Options for Retractable Banner Stands? Our attractive, user-friendly retractable banner stands all share common positive qualities, and they’re great at pulling in new, curious customers. We offer a range of styles, internal mechanisms, sizes and metal gauges to meet all kinds of circumstances. You can choose from retractable, telescopic and spring-back styles, which all afford their own sets of advantages. The models we offer include premium, economy and standard. Every iteration of these stands affords its own unique qualities and strengths, which we’ll help you to determine. For example, economy models make for good bulk options that you don’t need to use too frequently. They’re cost-efficient and memorable, but lower-grade materials make them more susceptible to disrepair if they’re used too much. Opposingly, premium models feature top-graded construction. They’re built to handle any scenario and frequent conversions, but they come with a higher price tag. We focus heavily on the stand construction, but the banners themselves won’t be neglected either. We use durable vinyl that can withstand frequent conversions and tension, and long-life inks help to create vivid, high-resolution images. 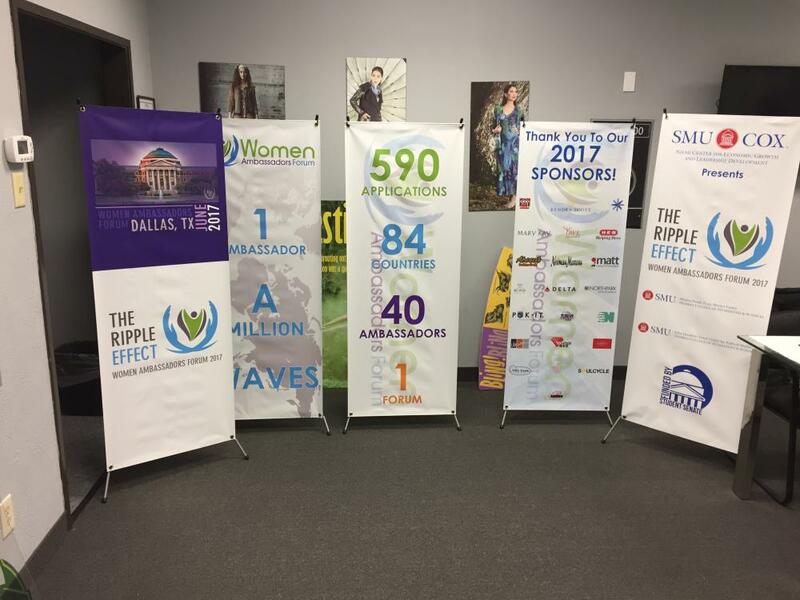 No matter what your purpose is, we’ll gladly work to provide the best custom retractable banners around. Contact our studio right away if you’re ready to set up a consultation with our team. If you prefer, you can also visit us in person at Commerce Drive in Plano.